Matt is an avid traveller and self-confessed 'man of the world'. He is passionate about his home city, Manchester, & travelling the world. If you are new in Delhi, ie a first time tourist in Delhi, the city can be an intimidating and bewildering place for tourists. Like any city, there's good parts and there's bad parts and one thing you'll quickly notice about New Delhi is that it's very very big. In fact Delhi is second only to Tokyo in terms of the size of its urban area and Delhi is the worlds fourth largest city in terms of population. The population of Delhi is currently estimated at around 22 million people but there are thousands of people living in Delhi without a home and hundreds more arriving every day in search for that elusive better life. Delhi is part of what is commonly known as India's 'Golden Triangle' along with the tourist destinations of Agra and Jaipur. Many international travellers intending to visit these three cities will likely begin their trip in Delhi after arriving at the City's main airport, the Indira Gandhi International Airport which is a very smart modern airport. Many people will see the highlight of the Golden Triangle tour as being the Taj Mahal in the city of Agra. 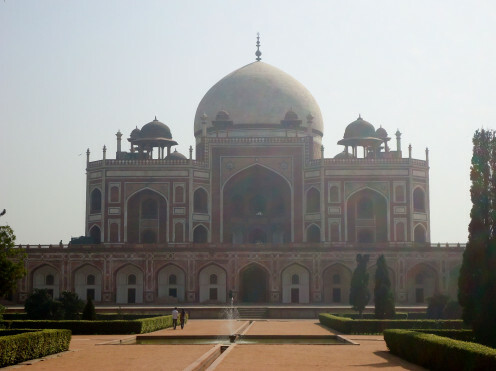 And whilst I'm certainly not going to argue with that sentiment I will demonstrate in this Delhi travel article that there are some top tourist places in Delhi too and that a Delhi tour is certainly worth the effort whether you do this as part of an organised tour or independently. 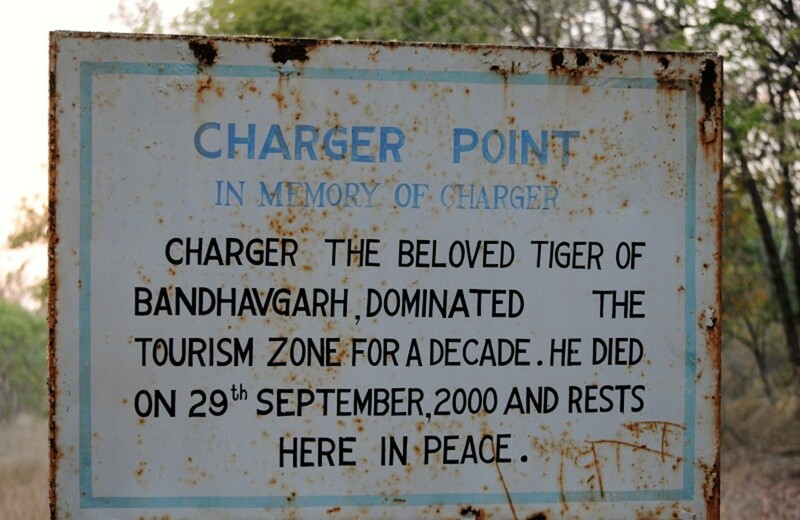 Let's take a look at the top tourist attractions in Delhi. Facts about The Red Fort in Delhi: The Red Fort in Delhi, or Lal Qila as it is known locally - and a popular name for Indian Restaurants around the world - was designated as a UNESCO World Heritage site in 2007. Constructed from red sandstone in the 17th Century by Shah Jahan, a Mughal emperor, the fort was a key strategic seat of power in the age of the Mughals and saw dramatic changes to its ownership and occupation over the following centuries. First the Marathas and then the British in the mid 19th century came to claim occupancy of the Red Fort until the Indian Independence finally brought peace and stability in 1947. During the colonisation by the British many of the internal buildings and features within the Red Fort were destroyed. However, with the Red Fort now safely in the hands of the Archaeological Survey of India the complex has been brought back to life and can be viewed in all its glory by visitors from all over the world. 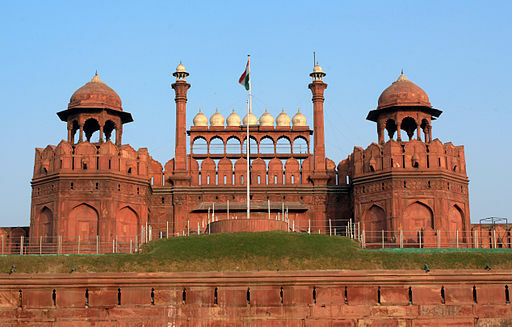 The Red Fort is today one of the most popular things to do in Delhi for tourists and travellers. India Gate is the Arc de Triomphe of Delhi. 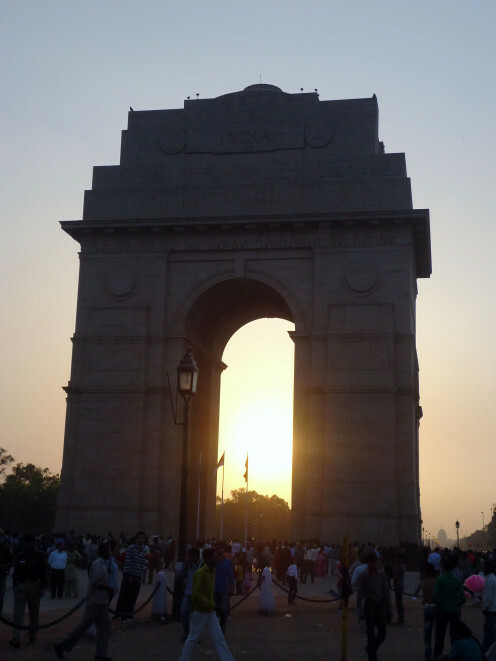 Considering the Indian nation is very proud of it's independence and the cutting of ties with the British Empire in 1947, India Gate is still a respected and important landmark in the Indian capital. The India Gate, designed by Sir Edwin Lutyens, was built in the centre of Delhi 1931 - a time in which the British Empire had control over India - and was intended to commemorate the lives of 90,000 British soldiers who lost their lives fighting in the First World War and other wars involving the as-then stretched British Empire. 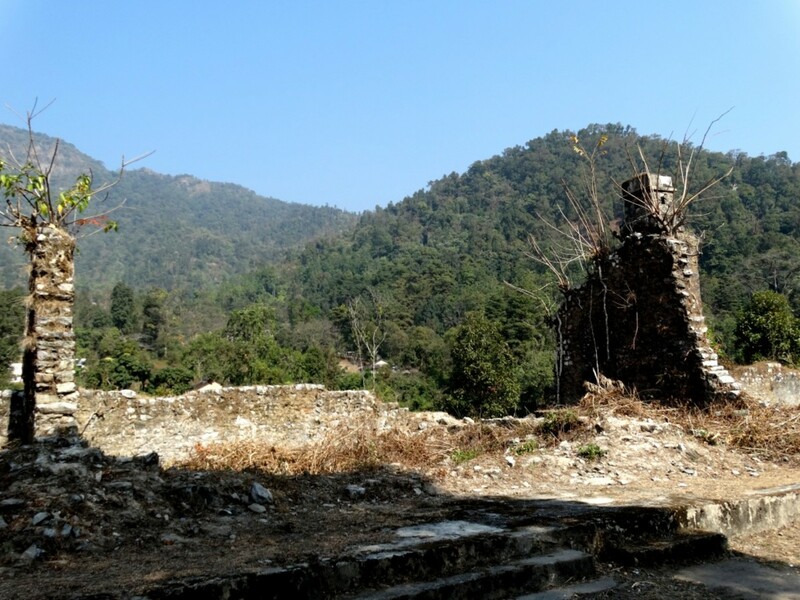 At that time, there was no recognition of the Indian soldiers who had been drafted in to support the British Forces. After Independence the Indian government re-designated this Delhi monument as the Tomb of the Unknown Soldier of the Indian Army in memory of the Indian soldiers who lost their lives fighting in these wars. 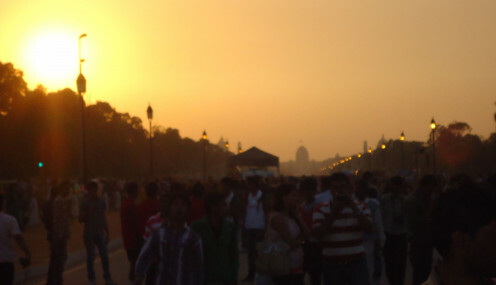 My favourite time to visit this area of Delhi is around sunset when the place fills up with families and couples gathering about India Gate and the sky takes on a beautiful hue. Another architectural masterpiece in Delhi from the period of the Mughal empire, the huge Humayun Tomb was built for the Emperor of Mughal society, Emperor Humayun and his family, which includes the later Mughal Emperor Shah Jahan who was responsible for the construction of the Red Fort several decades after the construction of the tomb of Humayun. Like the Red Fort the main buildings of the Humayan Tomb complex were constructed using red sandstone, but up until the point of construction no building of this size had ever been attempted using this material. 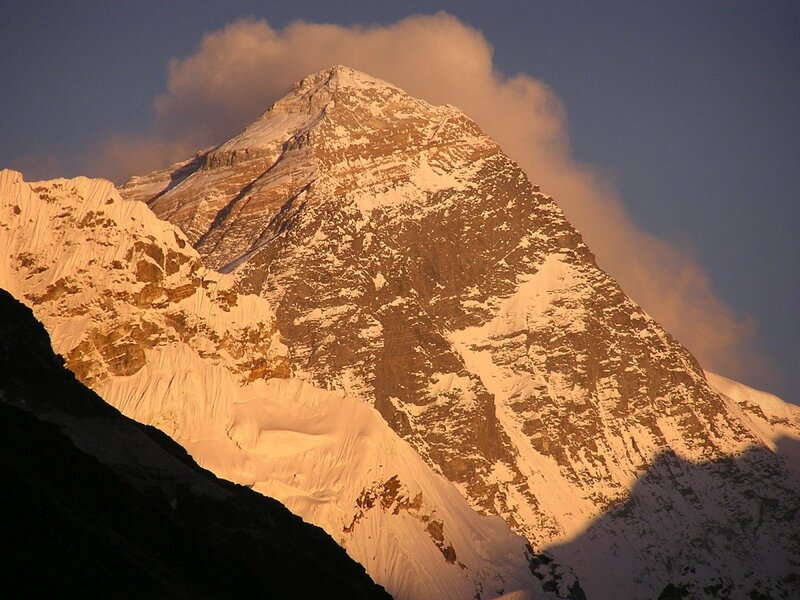 The complex was designated as UNESCO World Heritage site in the early nineties. Raj Ghat, or the Gandhi Memorial, is a genuine oasis of calm within Delhi. Near the banks of the Yamuna River which runs through Delhi is a square walled area with symmetrical pathways and garden features on all sides. In the middle of the walled area is a marble plinth that marks the spot of where Mahatma Gandhi's body was cremated on 31st January 1948. An eternal flame burns continuously on the site. Visitors wishing to pay their respects to the shrine must remove their shoes before entering the walled area. 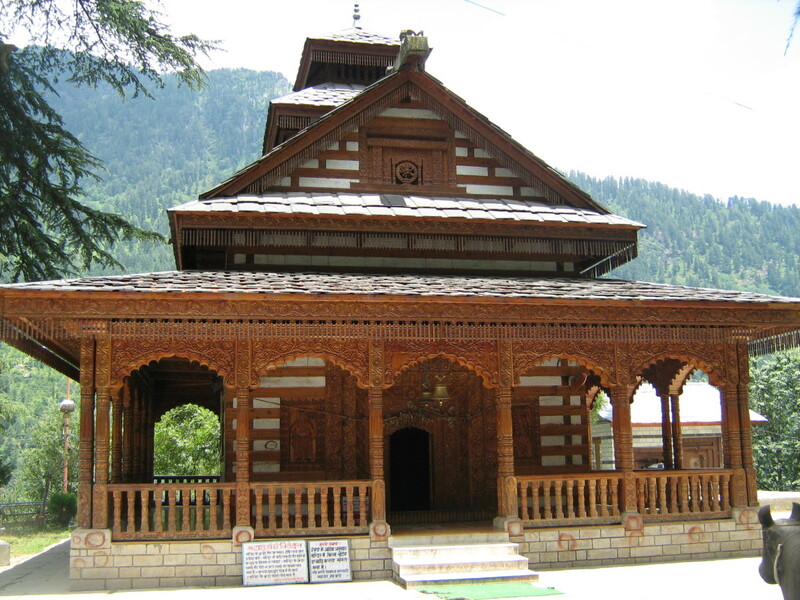 People come here to pay their respects and also to relax in the calm and tranquil environment. 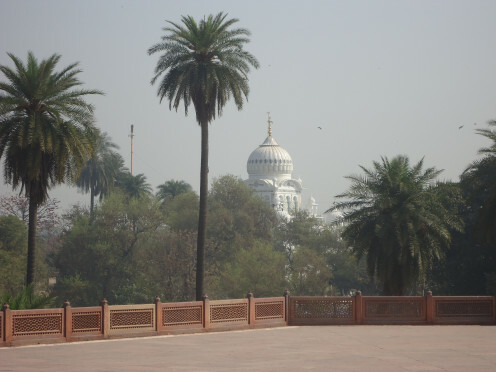 This is a great place to come to and see Delhi in a calmer light and to escape the hectic side of Delhi as capital. I travel a lot but when I look back at some of my old travel pics they don't seem to be as good as I remember. And it's because I used to use a cheap point-and-shoot camera. Nowadays I use the Sony A6000 to capture all of my travel pics. It's the best camera I've ever had. Absolutely amazing! The Paharganj district isn't a specific sight per se but it's certainly something to behold if you want to experience a slice of the real Delhi. 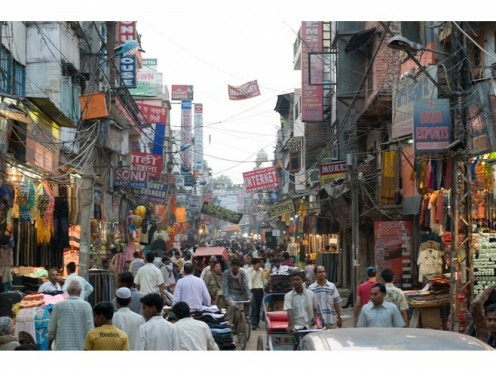 Paharganj is a rough and ready neighbourhood in Central Delhi, and is where much of Delhi's budget accommodation is found which makes it popular with backpackers and budget travellers. Here you will likely see piles of rubbish burning in the streets;cows wondering around aimlessly; impoverished kids suffering from polio; street hawkers trying to sell you all kinds of things; and more than a few shady characters lurking about. Learn to manage life in Paharganj and you will be equipped to manage anything! It's possible to visit al these sights in a single day, although I would recommend taking two days so you can take the time to appreciate them. A first-time visit to Delhi can result in complete sensory overload. You need at least a couple of days to let it all sink in and adjust. But I would advise you to adjust fast! There are a number of ways to get around these sights. Public transport is incredibly cheap in Delhi and the Delhi metro is fast, cheap and very clean. Another option is to hire a driver for the day. Your hotel should be able to arrange this for you and will still work out as being very cheap, but you will be expected to tip the driver. Have fun in Delhi! Have you ever visited Delhi? Yes, I don't like Delhi! This hub is all about Varanasi (Banares / Banaras / Kashi) and what to do in Varanasi. Located on the banks of the Ganges, Varanasi is a holy Hindu and Jain city said to be founded by the god Shiva. The Indian railway network is cheap to use and very well-organised. 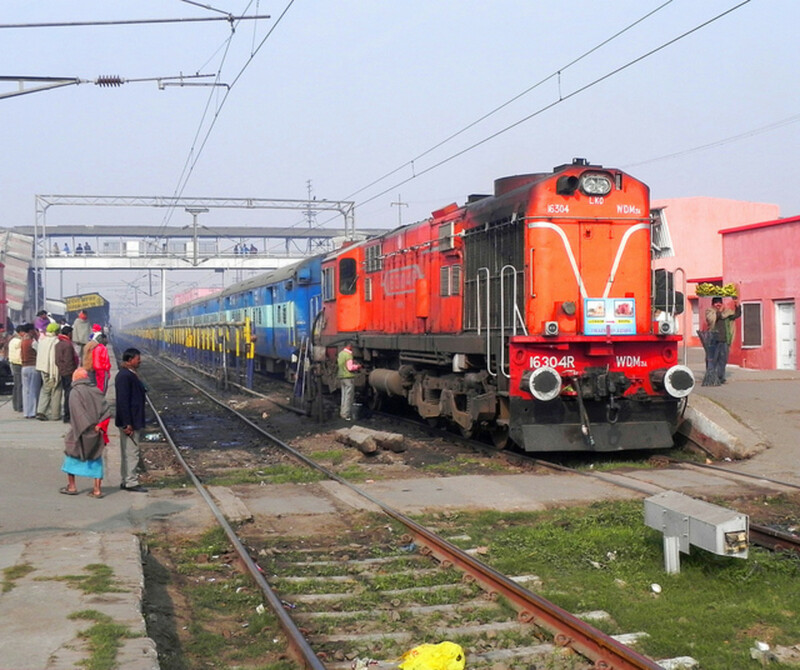 Use of the railway in India is extremely popular and using a train in India needn't be something for a visitor to fear. Explore the history of the Taj Mahal with these Taj Mahal facts and pictures. This is from my personal visit to the Taj Mahal from 2012 where I learnt all about the Taj Mahal of India.